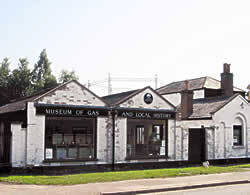 A complete preserved small town gas works with a collection of appliances and other artefacts on display in the former showroom building. 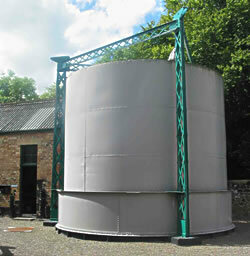 This preserved small town gas works, the only one in England, also has displays of meters, equipment and appliances in its workshop buildings. 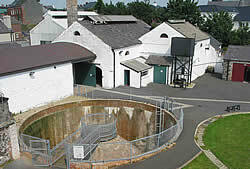 The upper floor of the gas works offices houses a museum of local history. This has a major gallery devoted to all aspects of the British gas industry. In addition, a number of working gas engines are on display in the Power Hall. This archive, maintained by National Grid plc, houses records dating back to the birth of Britain’s gas industry and also has an extensive reference library. Although the Science Museum no longer has any gas industry material on display, it has an extensive collection of objects in store as well as a library of reference material. IGEM has a small library of historic publications at its offices in Loughborough and supports the Panel for the History of the Gas Industry, which produces a newsletter – Historic Gas Times.